ECF Indigo implements two recently-completed OSGi standards: OSGi remote services and OSGi Remote Service Admin (RSA). The OSGi Remote Services spec provides a simple, standardized way to expose OSGi services for network discovery and remote access. ECF Indigo also implements the Enterprise specification for remote services management known as Remote Services Admin (RSA). The RSA specification defines a management agent to allow for enterprise-application control of the discovery and distribution of remote services via a standardized API. Also included in the RSA specification is a standardized format for communicating meta-data about remote services, advanced handling of security, discovery and distribution event notification, and advanced handling of remote service versioning. ECF has run its implementation of RS/RSA through the OSGi Test Compatability Kit to ensure that it is compliant with the OSGi specification. ECF has a provider architecture, that allows major components of the OSGi remote services/RSA implementation to be extended, enhanced, or replaced as needed. For example, for interoperability with existing services and applications, it’s frequently desirable to be able to substitute the wire protocol/transport to one that is already being used. With the ECF provider architecture, it’s possible to substitute the underlying protocol...and use other frameworks based upon REST, SOAP, JMS, XML-RPC, XMPP, and/or others. If you wish, you can even define and use a proprietary provider and use it to expose your remote services. Or you can use one provider for remote services development and testing, and another for deployment. ECF has support for remote service access via asynchronous proxies. This allows client consumers of remote services to avoid the reliability problems that are frequent when synchronous proxies are used over a relatively slow and unreliable network. The choice of whether to use synchronous or asynchronous proxies is up to the programmer, and can be made at runtime. Here is more information about this feature of ECF’s remote services implementation. ECF Indigo has an XML-RPC-based provider, which implements the remote services API. Remote Service invocation through a proxy and/or async proxy is supported too. 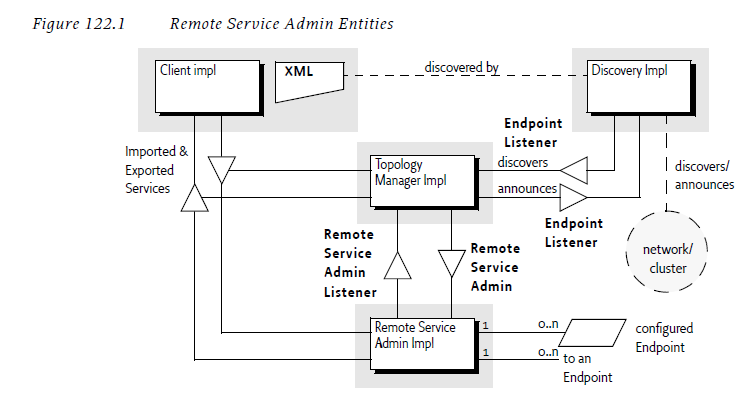 In addition to being usable for interoperability with existing XML-RPC-based services, it can also be used as an example of how to easily use an existing framework to create a remote service provider. Although discontinued by Google, Wave is an open protocol with an open source implementation of the Wave server available. This means you can still build applications that take advantage of the real time shared editing functionality from within your Eclipse environment using this provider. Already, ECF provides real time shared editing using cola. This is limited to two users on a a document at a time - using the Wave provider, you could have multiple authors collaborating on the same document. Mustafa and Sebastian created a multiplayer Android phone game for EclipseCon this year, using the Wave protocol for concurrency control. Take a look at the results in the video below. You're not limited to running ECF on Equinox anymore: ECF4Felix allows ECF to run on the Felix OSGi framework. So far testing has only been done on Felix. But if you are willing to help with testing ECF Remote Services/RSA on another framework, please send an email to the ecf-dev mailing list. ECF recently started the ECF Documentation Project. This project is an approach to improve the amount and quality of the ECF documentation with the help of the committer, contributor, and consumer communities. It also aims to use of ECF for new and existing consumers. Currently this includes a Users Guide and an Integrators Guide. As a user of ECF, the documentation effort is a huge help in getting ECF to work right within your application. Great credit is due to the ECF team for this, and all other features listed here.